The Isle of Man Tourist Trophy is one of the most dangerous courses in the world, featuring over 200 unforgiving corners and ludicrous top speeds, often with walls or curbs where purpose-built tracks would have runoff zones. 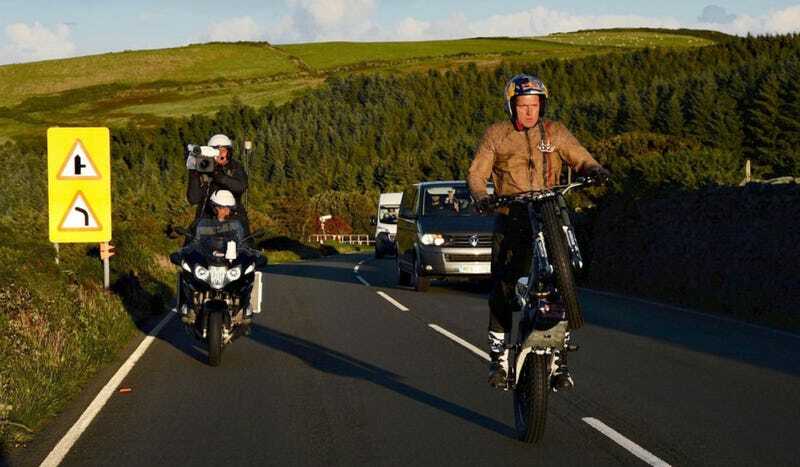 So, of course, Dougie Lampkin set off to ride it all on one wheel in under two hours. Lampkin is a 12-time World Trials Champion known for pulling rad stunts. On Sept. 27, he pulled off a continuous wheelie around the Snaefell Mountain Course that hosts the Isle of Man TT in 1 hour and 35 minutes, per Red Bull. The course is made up of public roads, so not only did Lampkin have to deal with high winds, but he had to contend with ordinary road traffic. I feel absolute massive relief, the build up to it, seven months of planning, everything that’s gone on, like the nightmare with the weather yesterday and still strong winds today on top of the mountain – I was just hanging on really. It’s not the first time someone has reportedly wheelied the entire Snaefell Mountain Course. Dave Taylor allegedly wheelied the entire course in the late seventies, but with no proof that it happened. This time, the magic of live video proved Lampkin’s wheelie happened in real-time on Red Bull TV. If you have a couple hours to kill, Red Bull posted the entire live-streamed stunt here for your viewing pleasure. 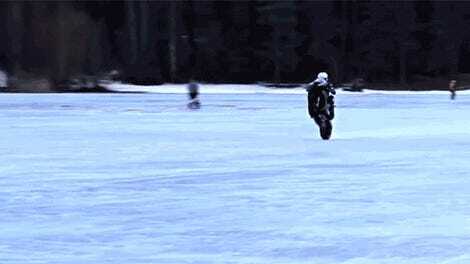 Now that’s dedication to the wheelie.